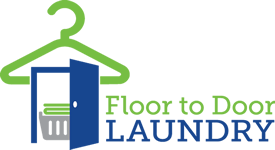 Floor to Door Laundry Offers 3 Delivery Service Levels. Fill out the form below to schedule a laundry pick up. One of our staff members will give you a call within 1 hour after scheduling your laundry services. You must agree to our Terms of Service to Submit online. Thank You for contacting Floor To Door Laundry. We will be contacting you shortly to confirm your scheduled pick up.